Dr. Gorman completed his undergraduate studies at the University of North Carolina at Chapel Hill and earned a Bachelor of Science in Biology with a minor in Chemistry. Dr. Gorman received his medical degree from Wake Forest University’s Bowman Gray School of Medicine. He trained as an intern and resident in internal medicine at North Carolina Baptist Hospital in Winston-Salem, NC. 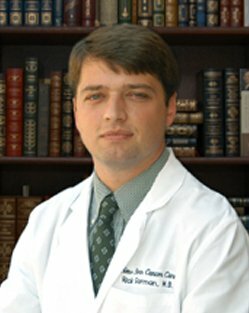 Dr. Gorman studied as a clinical fellow in Hematology and Oncology at the University of Florida’s Shands Teaching Hospital. Dr. Gorman is now affiliated with CarolinaEast Hematology/Oncology Associates.